In Austin, a political nonprofit is employing a model from the tech industry to find and train candidates. It is pitting them against each other to win campaign funding and support. It's 5 p.m. on a Friday at a hip bar and hostel in East Austin. Half a dozen people occupy the blue velvet booths and alternative dance music blares overhead. Leigh Salinas walks in carrying a duffel bag. She's there to spend the weekend studying – sort of. "I was certainly impacted by the presidential election in a lot of the ways that other people were," says the 31-year-old who works as an accountant for a local food company. Salinas says she wants to run for local office. "It's easier, at least at first, to make a change at a local level," she says. "So, that's why I'm super excited about this program specifically." Leigh Salinas is one of 25 participants in the inaugural ATXelerator, run by an area nonprofit called The Center for Austin's Future. The idea is to train and educate potential candidates for local office – specifically city council or various local boards and commissions. What makes the ATXelerator different from other candidate schools is that it's also part tech accelerator. In a normal accelerator, participants pitch a business idea and vie for investor money. Here, they will pitch themselves as a candidate for local office and vie for campaign support. "Competition brings out the best in people," says Ward Tisdale, the executive director of the center. Participants will take six classes, one per week, on various city issues including land use, finance, and social equity. Then they'll face the panel. "The competition is really meant to have people up their game and test them," Tisdale says. He's offering the support of a political action committee to candidates who rise to the challenge. Amos Schwartzfarb is the managing director of Techstars in Austin, one of the country's first startup accelerators. While tech accelerators have cropped up in just the past decade, Schwartzfarb says the idea – a period of time spent intensively studying something and then competing to win a title – is nothing new. "I think back to when I was a kid and as an athlete," he says. "Over the summers and over Thanksgiving breaks, I would go to these immersive camps, and the idea was you'll learn more and get fitter in two or three weeks than you would over the course of a full season, because this is all you do. You live, eat, breathe, sleep it all day long." Schwartzfarb says he's never heard of a tech-accelerator model being applied to local politics. "I think it's not only a cool idea, I think it's an extremely timely idea," he says. "The thought of the average person having more than just a vote as their political voice is not something that most people thought about [until the 2016 election]." In the same way that many recruit and prep candidates to further a particular agenda, the ATXelerator is looking for a specific candidate – one who generally supports environmentally friendly and walkable development through denser construction and a larger variety of housing types. 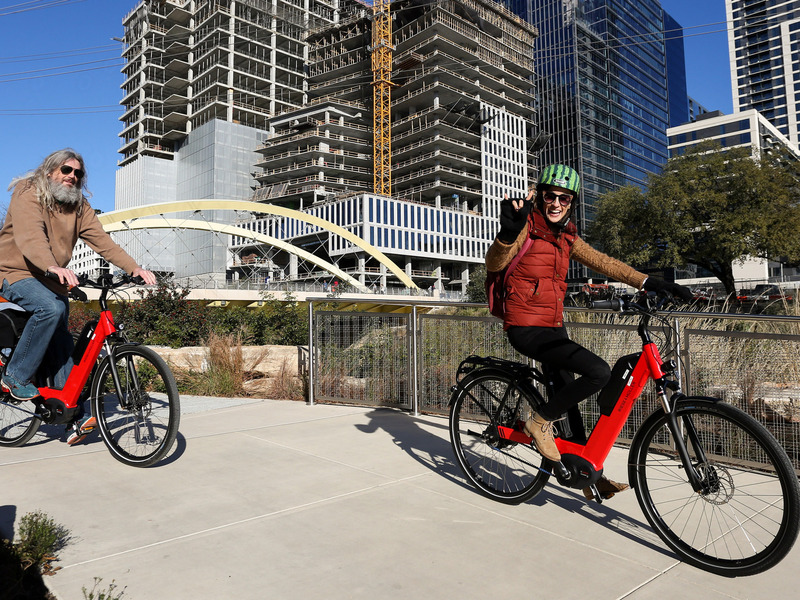 "We are growing – a hundred people move here a day – and in order to preserve what we have in Austin, which is a great quality of life, we have to change," Tisdale says. "And if we don't change, we're going to become an elitist city where only the rich can live, and it will be predominantly white and not diverse." The average ATXelerator participant is 35 years old. Their career paths vary – there's a writer, the owner of a pet-sitting business, a city planner and a community college student. Just getting selected to participate is itself a competition – the current group of 25 was whittled down from 48 applicants. Patsy Woods Martin has no plans to use the accelerator model at her organization. She's Executive Director of Annie's List, which trains women and contributes to their campaigns for state and local office, and she doesn't employ a competitive process by design. "Women have a hard time deciding to run for office, and so we want to provide the opportunity to understand the process to as many people as possible," she says. "It's really important for us ... to have that funnel open as wide as possible." But Kerry Tate, a longtime political consultant in Austin, says pitting accelerator participants against one another makes for a better learning process. "To compete for funding, compete for ideas, learn how to frame or brand yourself and put yourself out there ... you may be a little more stimulated to get that done if you're competing for something," Tate says. And that's exactly what the ATXelerator is setting Leigh Salinas up to do. On the last day of the weekend retreat, the group hears a presentation on the city's demographics and transportation. There's a session on how to run a campaign featuring a former mayor and city council member. Then, time to pack up. As Salinas retrieves her things from her bunk, she makes a quick scan of the room to make sure she has everything. Then she explains how she might pitch herself as a candidate for local government. "I'm from the business community," she says. "I've just been thinking about how can I take my business skill set and my accounting skill set and my acumen with numbers and business and apply it to these city problems." Then she's off, headed home to take a nap after ATXelerator's kickoff retreat. She'll have time to sharpen her pitch in the coming weeks between classes on economic development, transportation, and bonds. The final pitch is scheduled for March 25.